Ecommerce bookkeeping company Zynergy Books has been profiled on the Web Retailer blog. Bookkeeping is a necessary evil for online retailers. Some sellers see hundreds of transactions a day, making it difficult to keep track of money going in and out. On top of that, cashflow issues can go unnoticed and threaten the survival of any business, even those that are very profitable. The obvious solution is to hire a professional bookkeeper to balance the numbers and keep your books correct and up-to-date. But there's only so much a bookkeeper can do. You'll typically have contact with your bookkeeper once a month, when you send over your latest figures, then they'll then go away and work their magic alone. Rinse and repeat every month. Zynergy Books does things differently. They provide bookkeeping services to ecommerce businesses, so sellers can offload that work and spend their time more productively. But then Zynergy uses their experience in both ecommerce and finance to provide personalized coaching, helping retailers cut costs, improve cashflow and boost profits. Amazon accounting connector A2X Accounting has won Industry Specific App of the Year at the Xero Americas Awards 2018. "The entrants this year all showed tremendous dedication to their clients, and they made it hard to choose a winner. The winners this year understand how technology can transform the way businesses work, but also show a love for the accounting profession, and are committed to growing its value with the help of technology." The winner of the Industry Specific App of the Year addresses the needs of a distinct industry and demonstrates a high level of customer satisfaction and commercial success. The award spotlights continuous improvement in areas like customer care, design, quality, functionality, and technical innovation. A2X has earned a 5-star rating from 99 reviews in the Xero Community. A2X's handling of multiple currencies addresses a major pain point for sellers in the global marketplace. Specialist accountant for UK online sellers Ecommerce Accountants is offering a special discount ahead of the personal tax deadline on January 31st. New personal tax clients who join before 17th January can save 50% on the regular fee for a basic personal tax return, making it £72 instead of £144. Complex personal tax returns and business accounts are a separate service and not included in the offer. Ecommerce Accountants offer a personal tax service for both directors and sole traders and can help them avoid making mistakes or incurring penalties. The UK personal tax deadline is on January 31st each year and there is an automated late filing penalty of £100 for late submissions. US sales tax tool TaxJar now allows users to mark specific transactions as exempt from sales tax. This means that sales tax reports will be more accurate, and sales tax returns can be automatically filed without running into any roadblocks. Before this new feature, if users sold a taxable item to a tax-exempt buyer, such as resellers, government entities or educational institutions, the system had no way of knowing that sales tax should not be charged. With the new feature, sellers can mark a transaction as "exempt" one time, and TaxJar will record that in the system and account for it correctly in reports and returns. UK ecommerce accounting connector Tradebox has won the Readers' Choice Award at Tamebay's 10th birthday celebrations. The award was voted for by online retailers for the service or solution that they felt was a "life-saver" and a "must-have" within their business. Stephen Bales, founder of Tradebox said, "We were absolutely delighted to receive this award. We work really hard to make our software, support and customer services as good as possible, to meet the needs and expectations of our customers. Receiving an award such as this, direct from our customers, spurs us on to drive excellence throughout the company". Tradebox has also launched the new version of their software, called Tradebox One, into beta testing. The current software, Tradebox Finance Manager, is used by over 1,200 UK retailers to automate their Sage data entry. The new version has been completely rewritten to allow different accounting tools to be supported, including Xero, Quickbooks and Sage One. Inventory and marketplace management tool Ecomdash is now integrated with the online version of accounting tool QuickBooks. "An Inuit QuickBooks Online integration has been fundamental to our goals as a tool since day one," said Ecomdash CEO Nick Maglosky. "We are all thrilled to add cloud accounting to the laundry list of tasks our software can automate for online retailers." The new integration will allow Ecomdash customers to push sales orders from each of their sales channels to QuickBooks Online, where the sale will be converted into a QuickBooks sales receipt. The receipt will automatically correlate to the corresponding product in QuickBooks. This process also manages the creation of products and customer profiles in QuickBooks Online. "We want to allow our customers to save time, scale their business, and drive sales by automating their back-end supply chain. The addition of cloud accounting is fundamental to that offering," said Maglosky. Other recent upgrades from Ecomdash include support for multi-warehouse selling, integrations to ShipStation and Jet.com, and a Fulfillment by Amazon inventory integration scheduled in time for the holiday selling season. The next version of ecommerce accounting connector Tradebox Finance Manager will work with new accounting programs, in addition to Sage Accounts. The new Finance Manager, to be called "Tradebox v1", has been completely rewritten to provide integration with multiple accounting packages including Xero, Quickbooks and Sage One. As well as a new user interface, there will be a separate service to poll all of the platforms Tradebox integrates with, downloading orders, adjusting stock and uploading stock levels across all channels. Tradebox v1 has been going through an intensive pre-release program, and once out of the testing stage the company is hoping to have the new version available by the end of Q2 2017. After the release, support will be added for additional accountancy platforms. 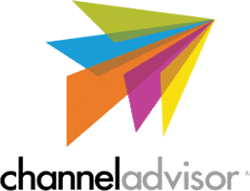 Pricing will remain the same, solely based on the number of channels the user needs to be integrated. Order management tool ShipStation has integrated with popular accounting package QuickBooks Online. QuickBooks Online is an easy-to-use, feature-rich online version of the popular accounting software for small businesses. 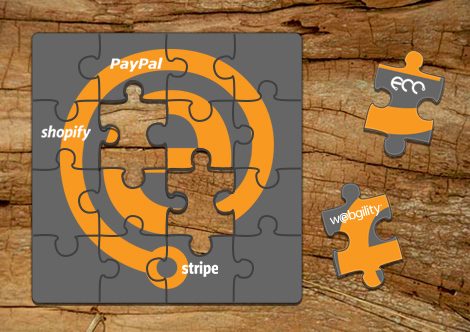 Multichannel ecommerce software Webgility Unify Enterprise now has integrations with CRM software Infusionsoft and payment provider Square. Unify for Infusionsoft lets businesses automatically download ecommerce orders from Infusionsoft and post them to QuickBooks Online, QuickBooks Desktop or Xero, either on an automatic schedule or on demand. "Infusionsoft has made a real difference for SMBs looking to streamline their sales and marketing processes, letting them capture more leads, better communicate with customers, and develop loyalty programs with significant ROI," said Parag Mamnani, Founder and CEO of Webgility. "We are excited to bring Unify to help Infusionsoft customers automate the financials for their e-commerce business." Unify for Square allows users to integrate Square sales and inventory directly into QuickBooks Desktop, QuickBooks Online, NetSuite or Xero. It keeps inventory prices and quantities in sync in near real-time, and allows full reconciliation of accounts by recording all aspects of the sale, including customer information, item details, amounts, sales tax, shipping costs, discounts, and payment method. US Sales Tax calculation and filing tool TaxJar now provides free real-time sales tax calculations for Magento stores, and also Ecwid stores on the Venture plan and above. TaxJar SmartCalcs is now free for Magento merchants, as part of TaxJar's Premier Partnership with Magento. The calculations, available for both Magento 1 and Magento 2, help sellers accurately collect sales tax from buyers. The service is also now available for ecommerce platform Ecwid, which enables sellers to add an online shopping cart to an existing website or social media page. TaxJar calculations are free for Ecwid subscribers on the Venture plan and above. TaxJar SmartCalcs automatically calculates the correct amount of sales tax due, updates tax rates, collects origin-based or destination-based sales tax and applies sales tax to shipping charges if required. TaxJar's Reports service creates filing-ready reports for each US state, and starts at just $19/month based on the number of transactions. Stripe merchants can now use TaxJar's "SmartCalcs" tax calculation feature when accepting payments online or via mobile devices. The US has 12,000 taxing jurisdictions for sales tax, with differing rules and rates. TaxJar SmartCalcs ensures the correct sales tax rate is used at the Stripe checkout, including Stripe Relay which is used for purchases in third-party apps such as Twitter and ProductHunt. All Stripe transactions are imported into TaxJar Reports for easy sales tax reporting and filing. TaxJar starts at just $19/month for up to 1,000 transactions, with a 30-day free trial. Stripe and TaxJar's previous integration provided only TaxJar Reports (sales tax reporting and filing). Ecommerce integration tool Pipemonk has a new integration between ecommerce platform 3dcart and accounting tool QuickBooks Online. Auto-import of orders, products and customer data. Discount tracking on 3dcart transactions. Synchronization of sales tax and shipping charges. Inventory tracking and stock level synchronization. Accounting integration tool Pipemonk can now integrate Amazon sales data with the Xero accounting system. Pipemonk creates invoices in Xero for each of a seller's Amazon orders, and allocates them to the correct accounts required by the seller. Pipemonk automatically syncs discounts and sales tax information including multiple tax rates from Amazon into Xero. Ecommerce integration tool Pipemonk has launched a new integration between the Foxycart shopping cart and online accounting tools QuickBooks and Xero. Import orders, customers and products automatically. Import sales tax by agency (state, county) and handle VAT and GST. Include discounts configured in Foxycart. Pipemonk also supports sales made through Amazon, Bigcommerce and Shopify. US Sales Tax calculation and filing tool TaxJar now has an alternative source of tax rates for their SmartCalcs sales tax API. SmartCalcs API users can now download the latest sales tax rates in advance, to provide an alternative source of rates in the event that the API goes down or is slower than expected. Summarized rates provide the minimum and average sales tax rates in every state, and are updated monthly for any changes. TaxJar says an API outage is highly unlikely, but they never want their customers to worry that they may lose the ability to collect sales tax temporarily. US Sales Tax calculation and filing tool TaxJar has added support for Australia's Goods and Services Tax (GST) through its SmartCalcs sales tax API. TaxJar's SmartCalcs sales tax API is a modern, robust API built specifically for developers who want to outsource the pain of calculating sales tax. Features include accurate sourcing rules, shipping taxability, product taxability and built-in reporting. SmartCalcs has a simple setup and a 30-day free trial. Australian GST is a broad tax of 10% imposed on the sale of most goods and services in Australia. Companies liable to collect GST generally add 10% to the price they charge for goods and services, and claim credits for the GST they pay to purchase goods and services for resale or otherwise used in their business. UK ecommerce accounting connector Tradebox is now integrated with Rakuten.co.uk. Tradebox synchronizes marketplaces with Sage accountancy software, reducing the administration and time required to maintain accurate accounting records. Tradebox Operations Director Stephen Bales said, "We are always looking to expand our product range and service for our customers. When the opportunity to work with Rakuten came about, we knew it was well worth investing our development time to expand our core service offering to our current and future customer base". Tradebox is offering an introductory 10% discount to new customers subscribing to an annual licence, using code RAKTB10. Ecommerce shipping tool and accounting connector Teapplix now supports invoices in QuickBooks. Teapplix can now export orders as invoices, sales receipts, daily summary sales receipts, sales orders and daily summary sales orders. The new invoice option is planned to be made available for QuickBooks Online in the next two weeks. US Sales Tax calculation and filing tool TaxJar has added a new return filing feature with later deadlines than normal. "Expedited AutoFile" is $39.95 per filing and allows sellers who could not enroll by the January 6th deadline to AutoFile. This new feature is available for filers in Florida, Pennsylvania and California. Once enrolled in AutoFile, TaxJar will continue to file sales tax returns each month at the normal AutoFile rate of $19.95/month. Accounting and CRM integration tool Pipemonk has added Amazon marketplace to its supported ecommerce channels. Pipemonk's Amazon to QuickBooks Online integration auto-imports order details, reconciles Amazon settlements, tracks fees on each transaction, syncs Sales Tax and shipping charges, and optionally also syncs customers and products to QuickBooks. 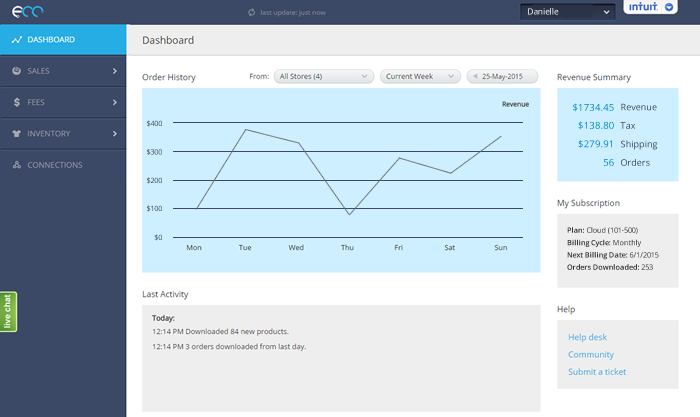 In the next release Pipemonk will also track inventory and sync stock levels from Amazon to QuickBooks. Pipemonk also supports webstore platforms Shopify, Bigcommerce and FoxyCart. Amazon selling tool InventoryLab has made a number of changes to make it easier for users to understand their accounts and reconcile reports from Amazon. Amazon fees and buy costs are now logged at the original sale date, rather than the refund date, in the case of refunded orders. Refund administration fees are now captured separately in the expenses section of the Profit and Loss report. FBA Transaction Fees and Shipping Credit Refunds have been added as line items in expenses. Selling Fee Refunds have been added as a line item in expenses, to show Amazon's credit back to the seller. Reimbursements due to customer returns now have a zero buy cost to prevent duplication. Credits for buy costs are now captured in the case of refunds which are resaleable. Ecommerce foreign exchange specialist Currencies Direct has added support for French marketplace Fnac. Businesses selling on French marketplaces Fnac, Cdiscount or Amazon.fr can all now open "e-tailer Collection Accounts" to receive payments in euros without opening an overseas bank account. Cloud-based ecommerce platform Bigcommerce has a new integration with accounting tool Xero. The app enables Bigcommerce sellers to connect their store with the Xero accounting software, providing an accurate, real time view of financial data from a single interface. The integration has automatic data transfer so sales flow seamlessly to Xero, including associated products, customers, taxes, discounts, refunds, payments and shipping data. The app is customizable so just specific operations can be synchronized. "Our merchants oversee every part of their business, and this integration brings peace of mind and frees up time and money to spend elsewhere," said Tim Schulz, chief product officer of Bigcommerce. "It was a big demand from resource-constrained retailers." The new app is available to all Bigcommerce and Xero customers at no extra cost. US sales tax calculation and filing tool TaxJar now shows where sales tax nexus is created by having orders fulfilled by Amazon's FBA service. Until the new feature was added, TaxJar helped identify where sellers might have nexus by showing the states where Amazon has fulfillment centers. Now by connecting to Amazon Seller Central, TaxJar determines which states actually ship orders and accurately shows where nexus has been created. The latest version of Tradebox Finance Manager includes support for Amazon's North America unified accounts. Cloud ecommerce platform Bigcommerce has released a new bookkeeping app which connects to Intuit's QuickBooks Online accounting tool. The app automatically creates sales receipts in QuickBooks when an order is placed through Bigcommerce. It can also sync products, customers, taxes, discounts, refunds and shipping charges. The integration has been developed by Bigcommerce themselves, so financial data is not accessible by any third-party software developers. "I have never used Quickbooks prior to this app being available," said Bigcommerce client Craig Stafford. "Setup was quite easy, even though I've only started using accounting software this month. This is running seamlessly with Quickbooks and saving me so much time now that I don't need to enter every sale into other software manually. This has taken away the stress of bookkeeping for me." The app is free for Bigcommerce users in the US. Support for merchants in Canada, the UK and Australia will be made available in the coming months. Accounting and ecommerce integration tool eCC has added a feature to combine multiple orders for accounting purposes, and has also integrated with marketplace Rakuten.com. eCC's "Consolidated Syncing" feature combines multiple orders into a single transaction in QuickBooks Online or Xero. This enables accurate summary data, without the need to import all transactions. All sales for a day or month can be combined into a single transaction, but broken out into line items for products and fees. eCC now supports marketplace Rakuten.com (formerly known as Buy.com). Users can also connect to any store by downloading orders in a CSV format. "With every new feature and with each added sales channel, eCC customers gain more flexibility and financial intelligence," said Webgility Director of Product Rob McGrorty. "Webgility software empowers e-commerce companies so they can grow their businesses faster, and that raises the game of the entire e-commerce marketplace." Accounting and CRM connector ZapStitch has released a number of new features to support ecommerce sellers. ZapStitch can now send periodic email reports on data synced, either after each sync, or as a daily or weekly digest. The company has also launched a new feature allowing the ZapStitch account to be accessed by unlimited users. New users can be invited to use ZapStitch by email, and have access to all the data and features of the account. Finally, ZapStitch's new "Multi-Connectors" enable users to create unlimited connections between apps within a single account, including Shopify, Bigcommerce, Marketo, Zoho CRM, Xero and QuickBooks Online. Quickbooks and Xero connector eCC Cloud now synchronizes payment fees charged by PayPal, Shopify, and Stripe. The new payment fee reconciliation allows sellers to see payment fees charged, with each order broken out into gross sales, fees, and net sales. The fees can be synced to an accounting system along with the orders themselves for more accurate tracking. A new version of ecommerce accounting connector eCC Cloud offers a consolidated view of sales across all online channels. eCC Cloud was also updated to organize Amazon and eBay fees in a more understandable format and allow business owners to sync multiple reporting periods from a high-level view. "Our products evolve with the fast-paced e-commerce marketplace," said Webgility CEO Parag Mamnani. "Building a multi-channel online business can be overwhelming, but eCC automates accounting, inventory, and customer data in one easy interface and provides the stepping stones to financial success." Inventory and order management solution TradeGecko has released a new integration with accounting tool QuickBooks Online. The new integration allows TradeGecko users to sync data between inventory and accounting. Sales, inventory, and purchase data are automatically pulled from TradeGecko to a QuickBooks Online account. TradeGecko released their QuickBooks Online integration to beta testing in January this year. US sales tax calculation and filing tool TaxJar now supports the hosted version of Magento available from Pixafy. Pixafy merchants can now add TaxJar's app to enable automatic sales tax calculations. Businesses with locations in multiple states are supported, and users can generate sales tax reports, get reminders about when to file, and file sales tax returns electronically. Ecommerce accounting connector eCC Cloud has released a fresh new design. The new design provides improved navigation, a new connections section for configuring integrations and adding channels, and a cleaner dashboard. US sales tax calculator TaxJar has enhanced its integration with payment system Square to include automatic sales tax lookups based on GPS coordinates. The new integration will help mobile merchants, such as food trucks and craft fair sellers, calculate the correct local sales tax rate. TaxJar CEO Mark Faggiano said, "Because so many Square merchants are mobile, customers asked us for a way to figure out sales tax rates to use wherever they travel. There are almost 10,000 different sales tax jurisdictions in the US, and as mobile merchants went from location to location, they were at a loss in how to determine and charge the applicable rates, so we built a solution that uses their mobile device's current GPS location to automatically determine the right sales tax rate for any location." TaxJar has been working with Square since September 2014 as one of the first apps in their marketplace. A new article on U.S. sales tax covers all the essentials, including where, when and how much you're liable for, and some common scenarios and problems. The article, written by TaxJar for the Web Retailer blog, covers Sales Tax Nexus, how to collect sales tax, what to do with sales tax you've collected, international considerations, and the latest issues facing online sellers. Cloud-based store platform Bigcommerce has partnered with US sales tax technology company Avalara. The integration of Avalara AvaTax into Bigcommerce enables sellers to accurately calculate sales tax at the time of checkout. The new feature includes hundreds of thousands of taxability rules covering the latest jurisdiction boundaries and products with special rules. Calculations are made at a product level, to take into account complex sales tax rules. Tax exempt customers are supported, such as resellers and government entities. Customers' addresses are automatically checked against the USPS database to ensure that they're formatted correctly, which helps calculate accurate sales tax. To use the features an Avalara AvaTax account is required. Marketplace management tool Stitch is now integrated with accounting package QuickBooks Online. Stitch can now send invoices, purchase orders, inventory assets, stock adjustments and costs data to QuickBooks Online. Inventory and order management solution TradeGecko has released beta integrations with both QuickBooks Online and Bigcommerce. The QuickBooks Online integration synchronizes all inventory and order management data automatically, removing the need for manual entry or data exports. The Bigcommerce integration synchronizes inventory and sales orders between TradeGecko and Bigcommerce, so stock levels are always up to date. TradeGecko has also updated the design for their public website, with smoother navigation to their Knowledge Base and eBooks, and additional information including a new Getting Started page and product tour. Finally, TradeGecko now supports connecting multiple Shopify, WooCommerce, Magento, and Amazon sales channels to one TradeGecko account. Each channel can pull data from the same inventory in TradeGecko. The multi-account feature is available to customers on their Business Plan and above. Foreign exchange company Currencies Direct can now provide online retailers in the UK with a US dollar denominated bank account. The account can be used to collect sales income in US dollars and transfer it into UK pounds at a favourable rate, providing a saving of up to 3% of sales – compared to the rates available from Amazon and PayPal. Phil McHugh, Currencies Direct trading floor manager explains: "Whereas in early July sterling was trading at 58p to the dollar, this has now risen to a near-18-month high of 66p. British e-tailers selling to the US in dollars are now finding that they're getting substantially more bang for their bucks. It's therefore important that they make the most of their improved margins and don't see it eroded by commission and fees when transferring their earnings". Currencies Direct also offers euro and Sterling accounts for online sellers and has recently created a new ecommerce section on their website. UK marketplace management tool Veeqo has added support for the Xero small business accounting tool. Veeqo founder Matt Warren said, "We are really excited to be working with Xero. It has led the charge in making accounting easier and that is exactly what Veeqo does for online retailers." Find out more about Veeqo's integration with Xero. Veeqo was launched in 2013 after raising seed funding through crowdfunding platform Seedrs, and another round of funding is currently underway. Multi-marketplace ecommerce management tool Seller Dynamics has introduced monitoring of sales to EU countries for VAT purposes. The new feature allows sellers to monitor sales in all EU countries, and alert them if they are likely to exceed the VAT registration threshold. "Users will find the new features easy to get to grips with", said Seller Dynamics CTO Fraser Ingram, "by sticking with our tried and tested profile approach it keeps the whole interface consistent - that has to be a good thing for folks." Ecommerce management solution CORESense has released an integration with Avalara's US sales tax automation tool. CoreSense users now have access to Avalara's cloud-based tool AvaTax to automatically calculate the final sales tax amount on every order. CORESense President Chris Martin said, "We're always focused on helping our clients manage their businesses more efficiently. Our integration with Avalara will allow CORESense users to easily manage and remain up-to-date on increasingly complicated tax regulations." Avalara created their sales tax automation tool ten years ago, and it's now integrated into many third-party systems. Cloud-based ecommerce platform Bigcommerce has released a feature which automatically calculates US sales tax at checkout. A new sales tax wizard powered by Avalara automatically calculates sales tax for orders from states where the merchant is required to collect it, and adds the correct amount at checkout. 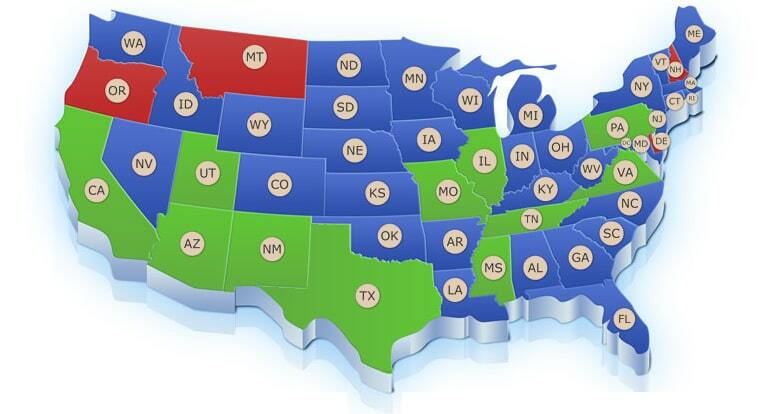 Currently merchants are only required to collect sales tax in states where they have a physical location, but if the Marketplace Fairness Act becomes law, retailers will be required to charge tax in every US state. Sales tax can apply at state, county and city levels, creating more than 10,000 US sales tax jurisdictions. US sales tax automation tool TaxJar has updated its integration with popular WordPress shopping cart WooCommerce. US and Canada sales tax support. Automatic sales tax tracking including county, city and special taxes. Direct state sales tax return filing. US sales tax automation tool TaxJar has added a new feature called AutoFile – the first one-click sales tax filing feature built for online sellers, says the company. Using AutoFile, TaxJar can send sales tax data directly to the authorities in each state, rather than the seller loggin in to multiple state websites to fill out sales tax forms. The service is available for 26 states and costs $19.95 per state, per filing. Accounting connector Teapplix ActionConnect now supports the Point of Sale version of QuickBooks. Teapplix can export orders as sales receipts or sales orders to POS, and users can map to items from marketplaces to POS items in Teapplix. US sales tax reporting tool TaxJar has added support for Square's mobile payment system. Business owners using Square can now send all of their sales data to TaxJar for automated sales tax reporting. Square provide a iOS-based payment device for US retailers.